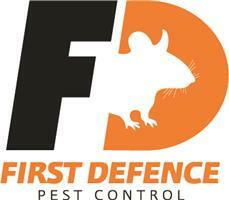 First Defence Pest Control Ltd - Pest/Vermin Control based in London, Greater London. First Defence was established in 2013 and has quickly built a reputation for our excellent level of work. “Most reliable contractor” is a compliment often paid to us and this is no doubt due to our ethos of putting our clients mind at ease from the moment we speak. Although the company was established four years ago, between the technicians there are many more years of experience in dealing with pests in people’s homes and businesses. From small flies to foxes and everything in between, our insured and qualified technicians are able to deal with all of your pest control needs. We are based in North London but offer our services in any area within the M25.